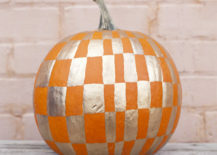 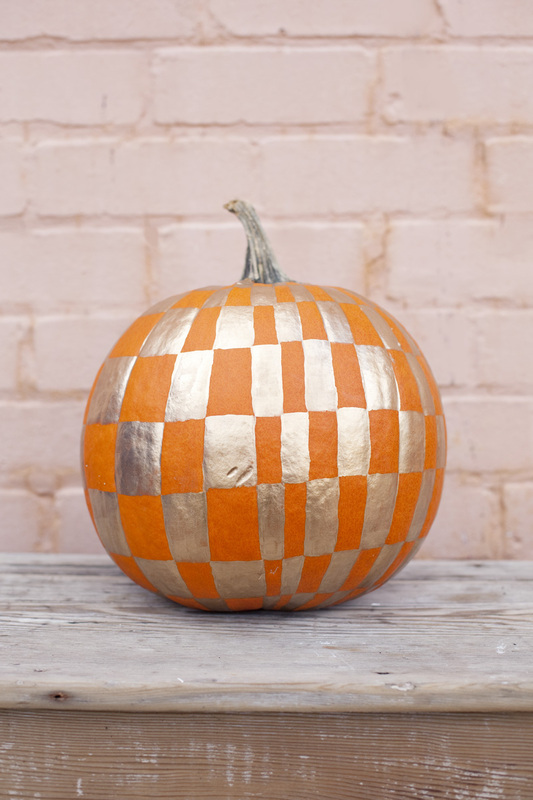 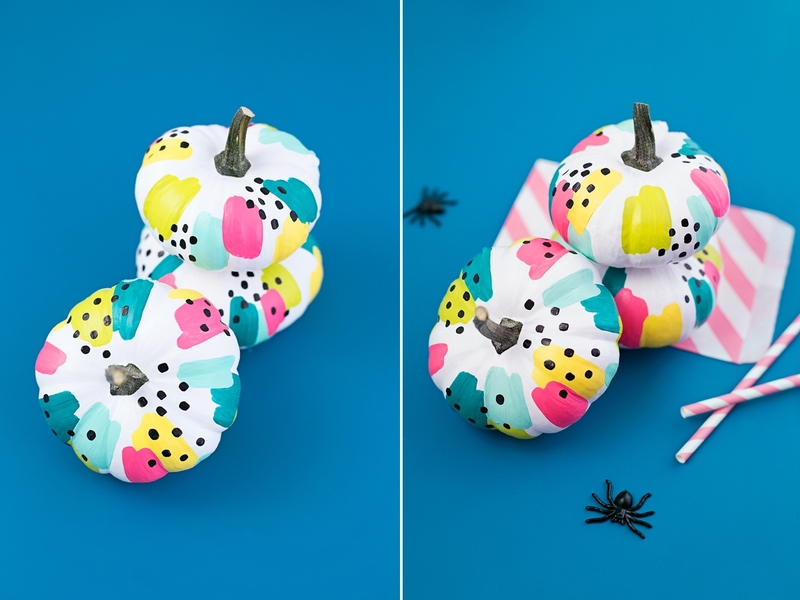 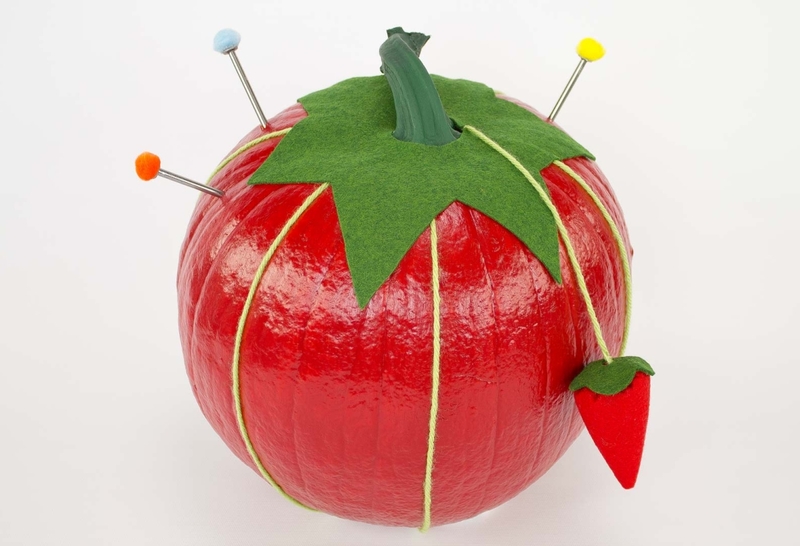 These New Memphis pumpkins from Mirror80 celebrate squiggles, curves, sprinkles and zigzags. 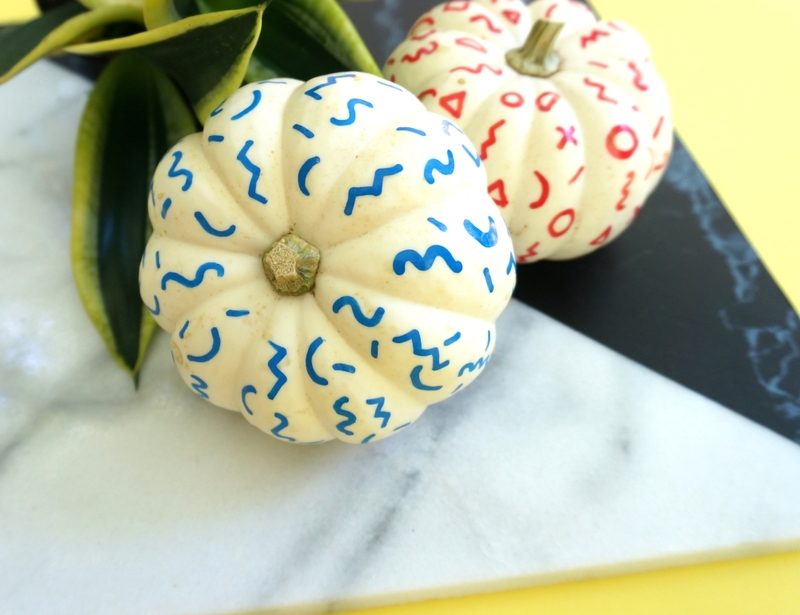 Plus, the designs couldn’t be easier to create, thanks to the use of trusty paint pens. 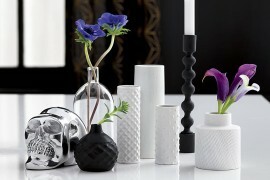 Learn more about Memphis-Milano style here. 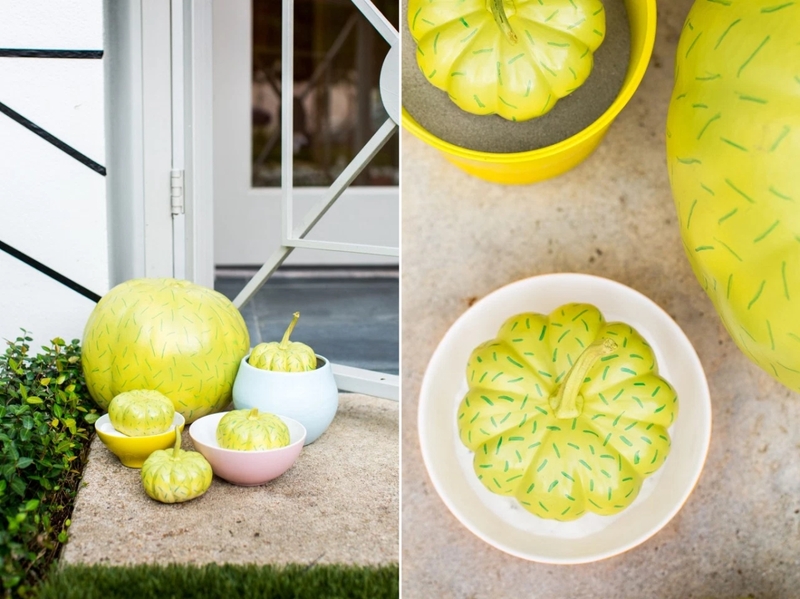 Sugar & Cloth painted pumpkins to look like cacti in their Palm Springs-Inspired Halloween shoot. 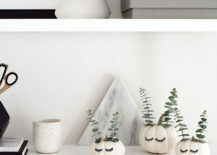 At one glance, they’re potted plants, and at another, they can’t help but channel Memphis style with a sprinkle motif. 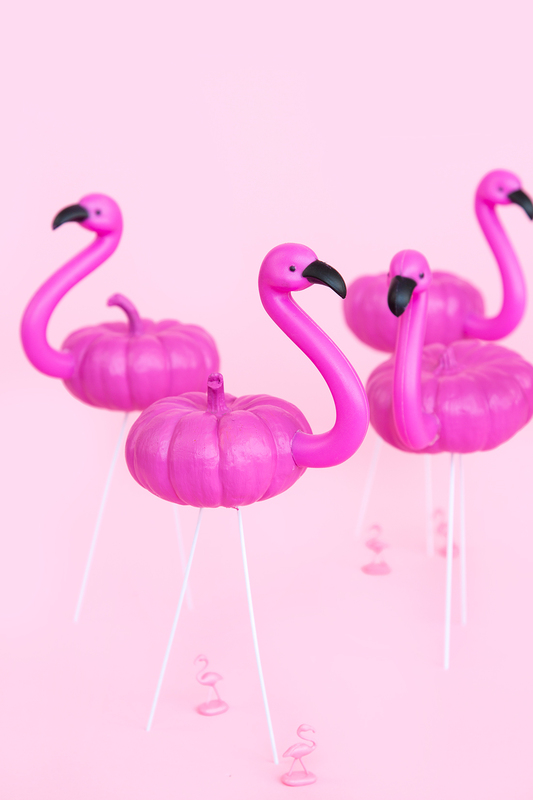 Fabulous all around! 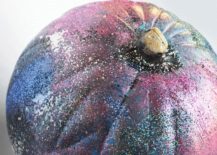 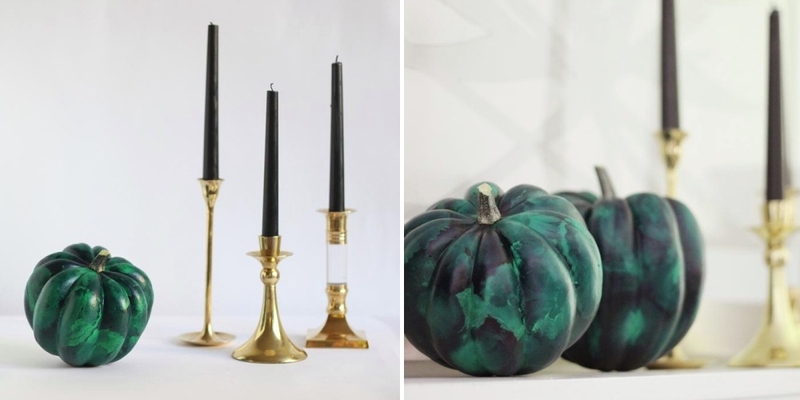 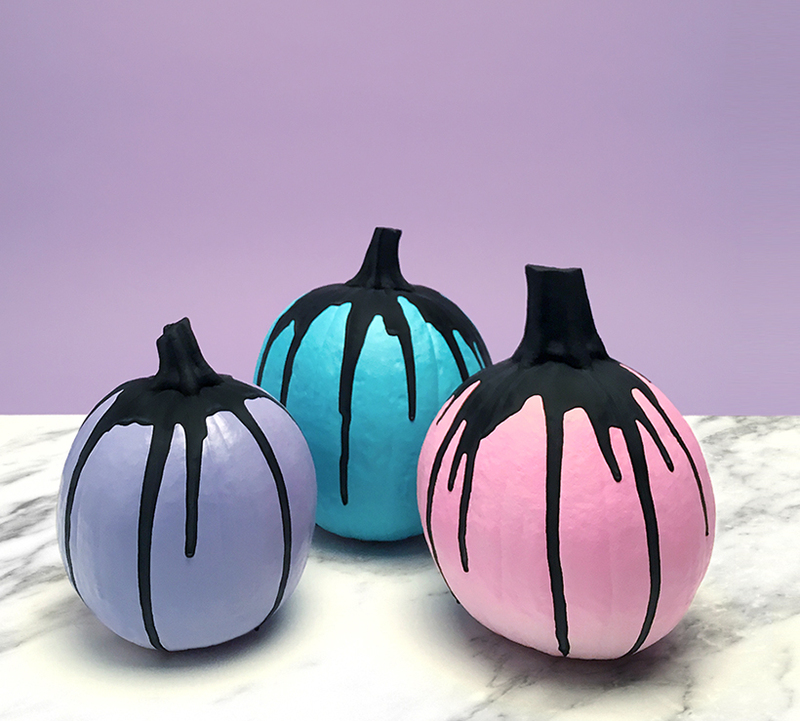 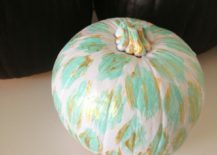 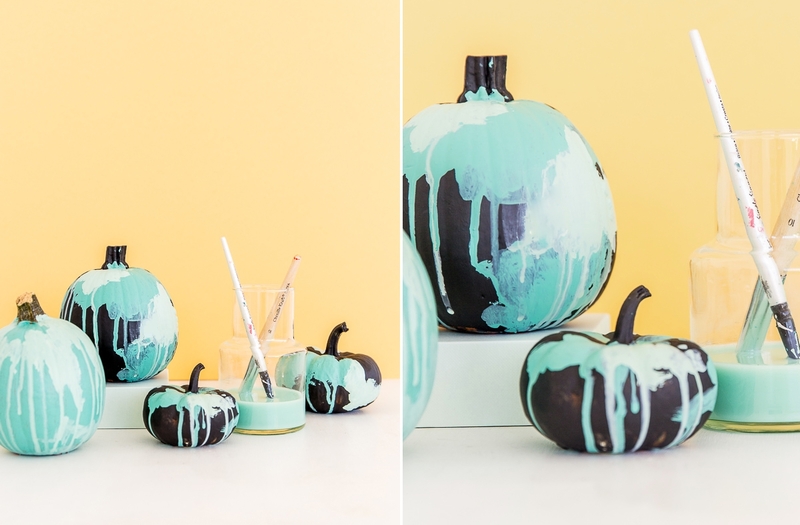 Proper’s DIY Marbled Pumpkins use marbling paint to their advantage. 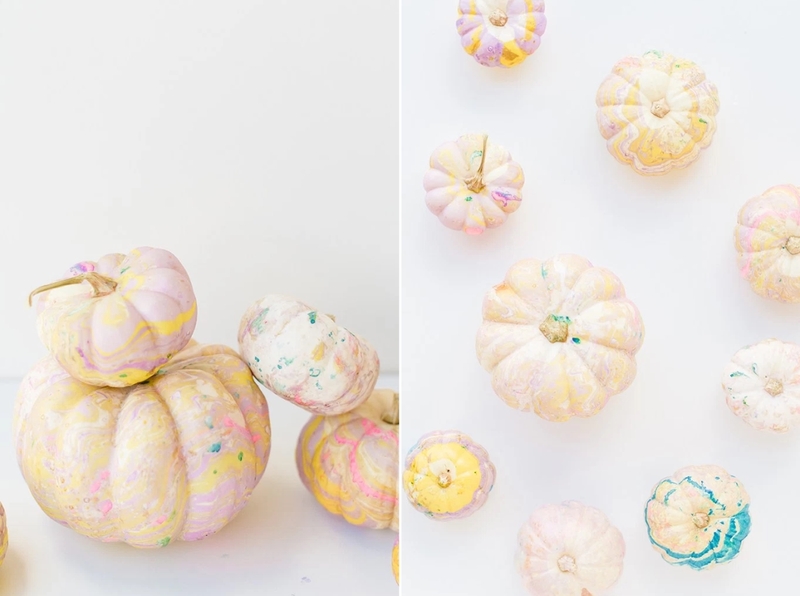 Bring on the marble and pastels! 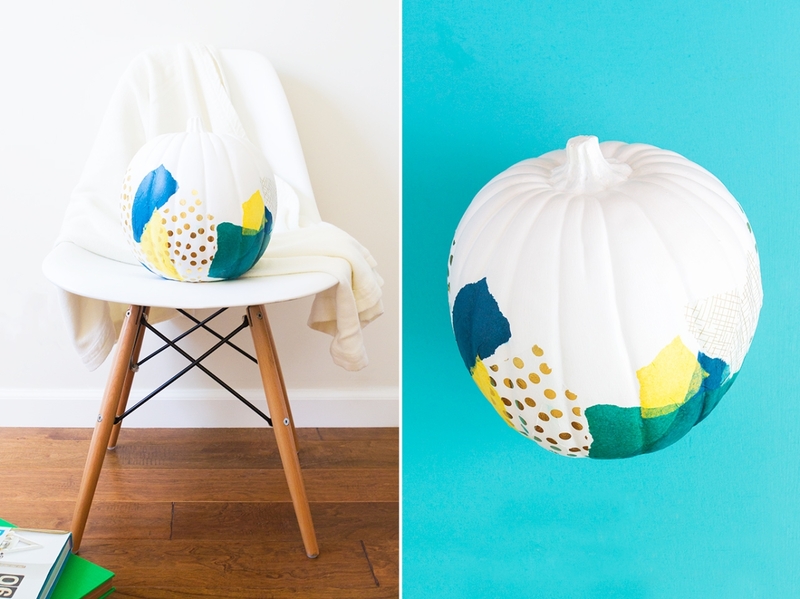 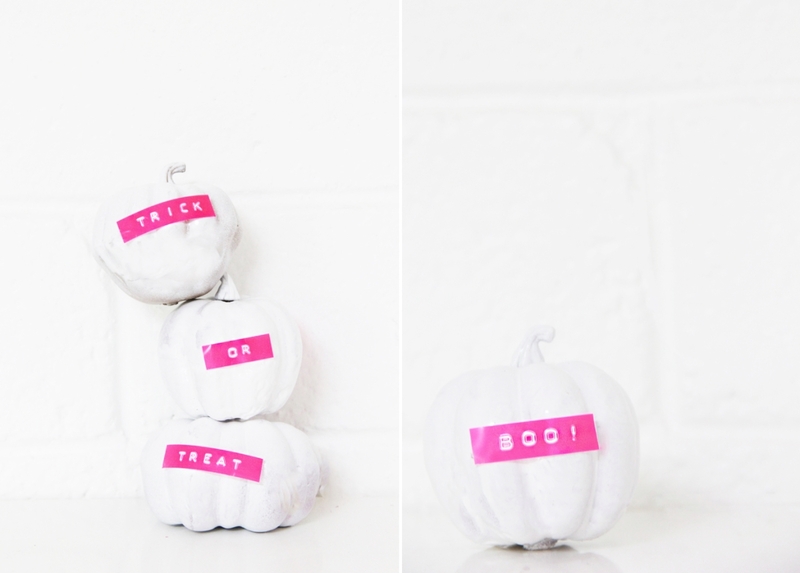 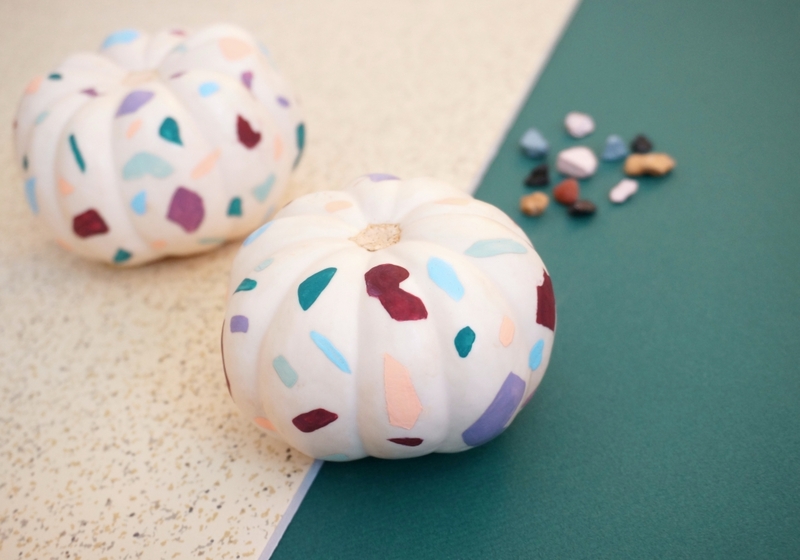 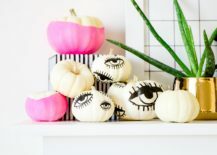 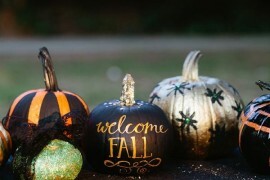 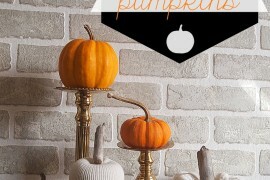 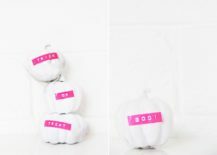 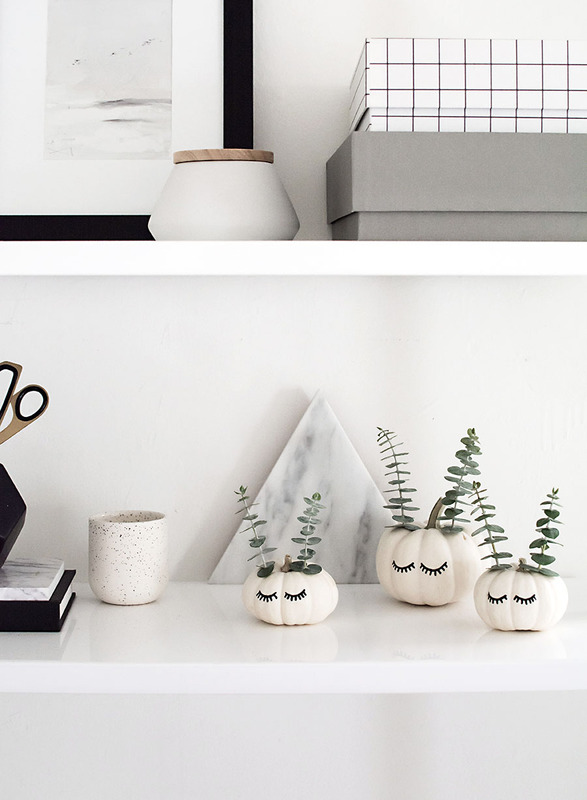 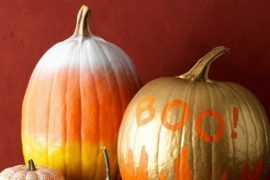 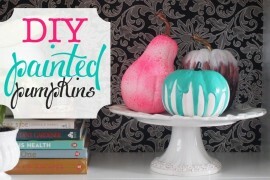 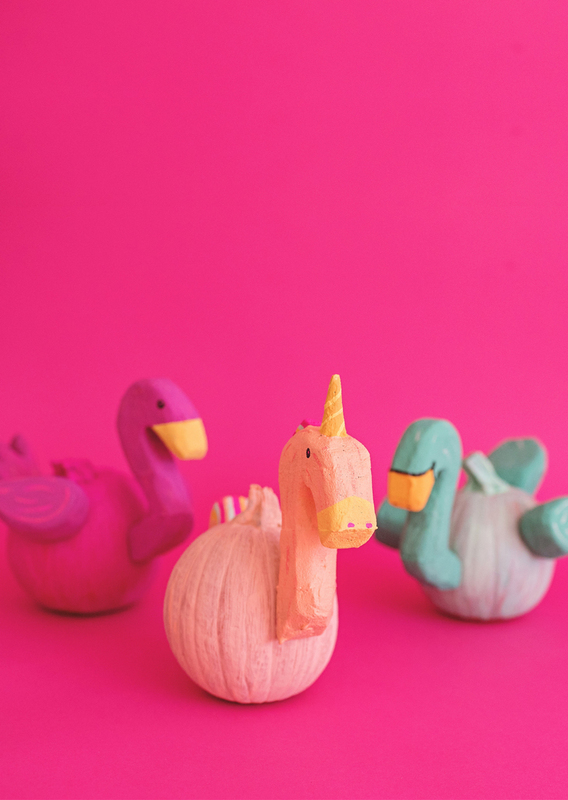 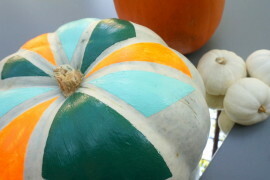 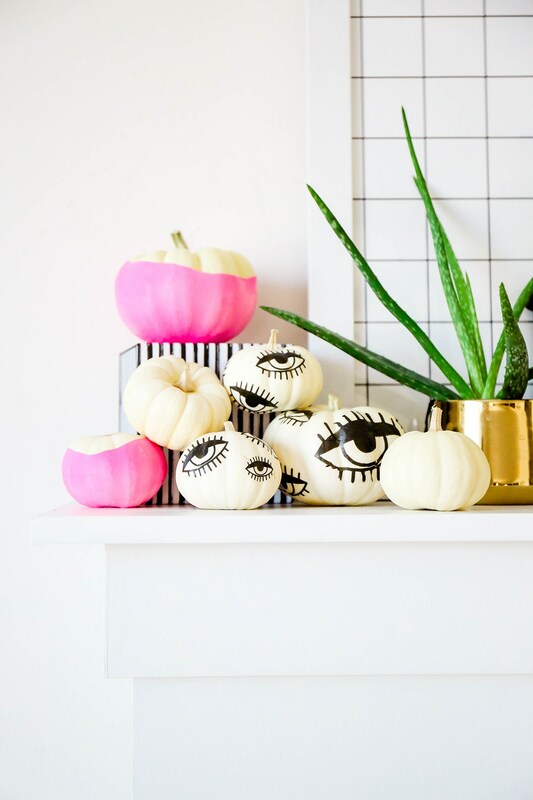 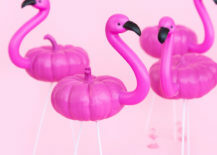 RELATED: DIY Fun And Colorful Painted Pumpkins! 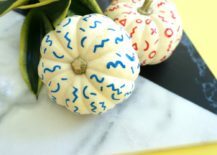 Are they pumpkins or mini pool floats? 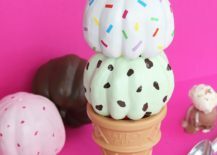 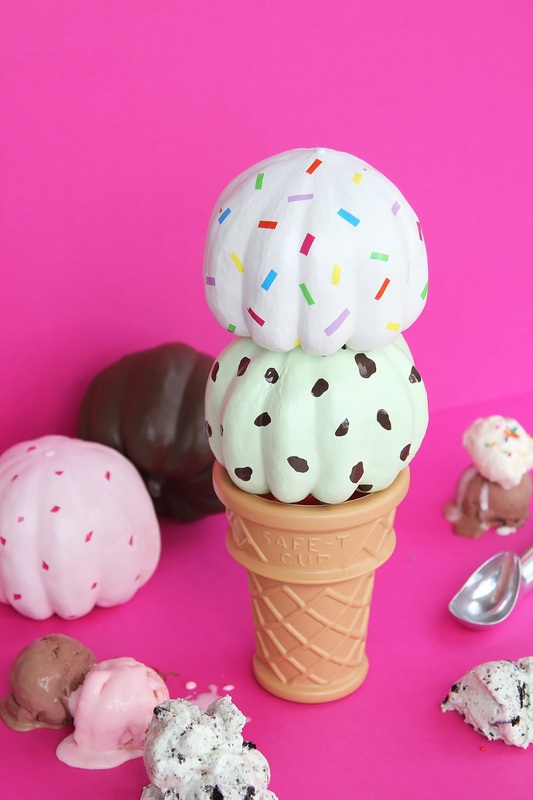 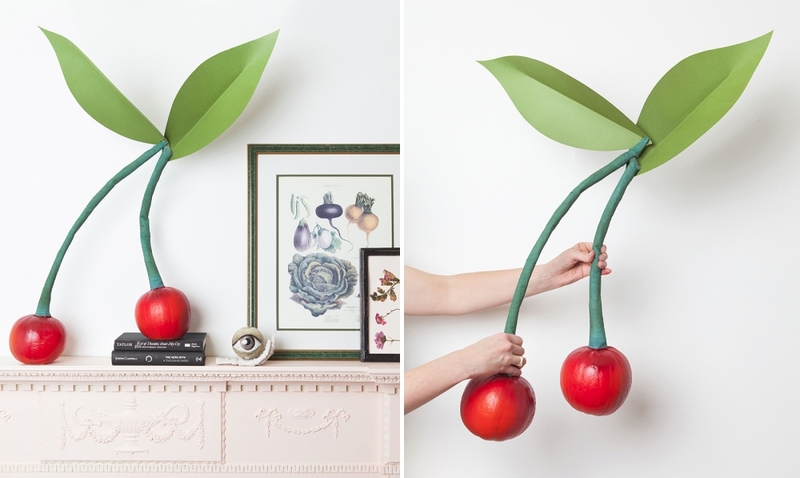 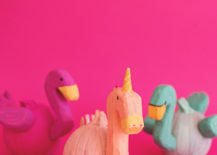 These cute creations from A Subtle Revelry get a big boost from craft foam. 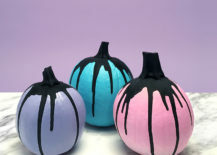 And lots of paint, of course! 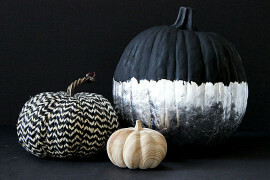 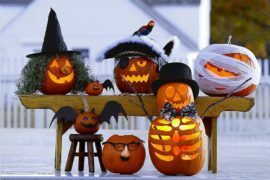 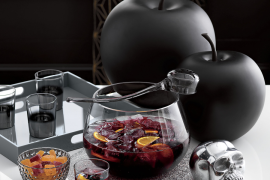 We at Decoist wish you and yours a Happy Halloween!